Some people experience seasonal allergies, which could be set off by airborne particles from trees, plants, and/or grasses. However, if you are dealing with flare-ups year round then there could be a cunning culprit lurking. The last place you want this to happen is when you are trying to get a good night’s rest. You could think of your immune system as your body’s first line of defense when dealing with harmful invaders. However, this system could view an antigen, a type of allergen, as a threat despite its otherwise harmless nature. The introduction of the foreign substance, which your immune system now perceives as a threat, might start a chain reaction. This reaction is the result of antibodies, Immunoglobulin E, being released and dispatched to cells where they release chemicals. These chemicals could cause you to experience an allergic reaction. The symptoms of an allergic reaction might include hives, rash, itching, watery or itchy eyes, abdominal cramping or pain, difficulty swallowing, and/or pain or tightness in the chest. These symptoms of allergies could worsen the more frequently you come into contact with these allergens. Depending on the severity of an allergy, life-threatening symptoms could present such as swelling of the airway, inability to breath, possibly even sudden and critical drop in blood pressure. This type of occurrence is referred to as anaphylaxis. If you encounter these symptoms, immediately contact emergency medical help. There is a wide range when it comes to possible symptoms of an allergic reaction, and you should always consult a doctor for proper diagnosis and treatment. A good night’s sleep could be severely affected by allergies. An interruption of your sleep could have some pretty serious side effects. It might lead to depression, decrease in productivity, fatigue, and problems with memory. When you add allergies to the mix, it is even possible to increase the risk of developing obstructive sleep apnea. Airborne allergens could cause something called allergic rhinitis. This is the irritation and inflammation of your nasal passages. They can also cause your body to produce a chemical which induces nasal congestion, runny nose, nasal drip and/or sneezing. This chemical is called histamine. Narrowing airways and breathing trouble could make it nearly impossible to get a full and restful sleep. Dust mites: These small creatures are commonly found in pillows, bedding, curtains and/or upholstery. 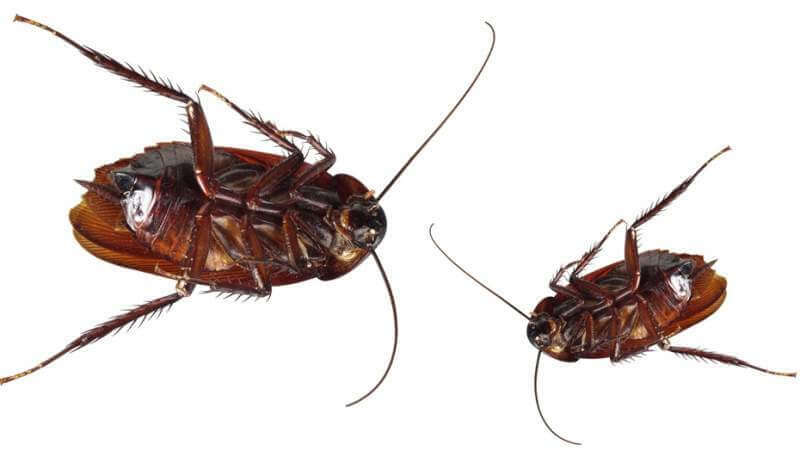 Cockroaches: As a result of this insect’s adaptability, they could survive almost anywhere. Animal Dander: This could adhere to nearly any surface because of proteins in your pet’s fur. Mold Spores: Damp and dark locations can be a breeding ground for mold. Once airborne, there is almost no limit to where these can travel. Pollen: This allergen might be at its most concentrated during spring and fall depending on the climate you live in, but can be carried inside the home through your doors, windows, central air system, on pet fur or even clothing. Once in the house, it can come to rest on just about any surface. You might be wondering what you can do to rid yourself of the pesky household allergens that could affect your ability to enjoy your day to day life, including getting a full night of sleep. There are some simple steps that you can take around your home to ensure that your body has the best chance of avoiding these altogether. Keeping your house clean could be one of the easiest ways for you to breathe easier. Vacuums with HEPA filters could assist in cleaning the air as you tidy up the house. They can also be used on furniture and upholstery to reduce allergens such as pet hair. Dusting furniture with a damp or electrostatic cloth could help to pick up dust instead of just brushing it away. Since you spend such a large time in bed, utilizing a mattress protector could make all the difference. The best mattress protectors should help keep your mattress clean, extend the ‘like new’ feeling, protect you from bed bugs, dust mites, mold, and assist with protecting the warranty. Obviously reducing common allergens here could be one of the biggest favors you do for yourself. If you are already experiencing trouble sleeping due to allergic rhinitis, a mattress protector could be the primary tool to help you get the slumber that you need. Keep pets out of the bedroom. Despite their role as a part of the family, they can track in pollen, mold spores, and obviously pet dander which could play a large roll in your trouble sleeping. 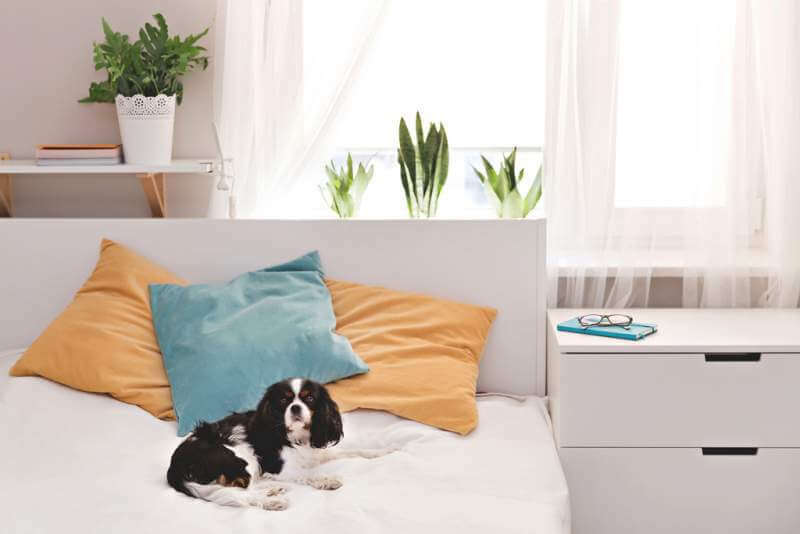 You can still ensure that your pets have comfortable bedding in a space such as the living room or den. Maintaining humidity levels in your home could help prevent exacerbating the symptoms of allergies. Air that is too dry could increase irritation in your nose, throat, and eyes. Likewise, air that is too moist could lead to unwanted mildew and/or mold growth. You could utilize appliances to assist with this such as humidifiers and dehumidifiers. This practice of regulating humidity levels in your home could go a long way to helping keep you healthy. Air purifiers could help to reduce contaminants in the air which contribute to your allergy symptoms. These might even help you to avoid health issues unrelated to allergies. Since these can run at any time, it could even give you a hand by cleansing the air through the night. Sleep is important. While some of the symptoms of allergies can be annoying, if they are interrupting your night’s rest then you could start experiencing much more serious health issues. Having a good routine of cleaning, using tools to help control the humidity and air quality of your home, and safeguarding your bed against allergens could make a significant difference in the amount and quality of the sleep you are getting.